Photos of models, actresses, singers and sportswomen. the 'official' website of the author and artist. official website of this editor/author. Fan page with pictures and links. (by michael wagner) discussion board and comments page. A brief fan page with photographs from various conventions as well as audio clips from Babylon 5. Fan page with gallery of pencil illustrations, fan art, news and links. Features many photos, biography, part of extensive 7th Heaven website. gamma ray page among other metal bands at metalyou website, offering latest news, updates, history, discography, lyrics, reviews and links regarding the band. includes a discussion forum where members can discuss this band or heavy metal in general. website devoted to horror writers books with the latest news and updates. Israelian fan page with chat, MP3 files, message board and links. Fact page, photo gallery, message board, chat room. one website authors extensive online book review page, covering a wide range of literature. Website includes pictures, a music room, facts, links, a memorial page, updates on DS cast and portraits. Extensive manga summaries, images, video game reports, how to create your own Dragon ball website and links. 22 quigley, kevin - under the arc-sodiums official website. official website. includes information such as a listing of novels, short stories, news updates, poetry and a biography page. C.C. Devilles official website: monthly newsletter, fan photo page, audio and video track, tab collection and message board. carls garage and house website looks at why some record collectors are likened to being drug addicts. listen to the 30 minute streamed documentary on this page of the same name. Official website of the guitarist from the British Invasion band, The Animals. Features news, photos, biography, discography, audio clips, and equipment page. Official website for the Californian singer-songwriter includes news, sound clips, tour dates, pictures, discography, press and related links. Biographies of the actress and her best known character Kathryn Janeway of Star Trek: Voyager. The page is part of the Trek Ladies website. 29 eric jerome dickey appreciation page '. . This is Sonys official home page for the long-running Wheel of Fortune TV game show. Includes a version that you can play online. official website of the author, provided by harpercollins. features biography, bibliography, mailing list and information about recent releases. If the business hours of Photos of Celebrities in may vary on holidays like Valentine’s Day, Washington’s Birthday, St. Patrick’s Day, Easter, Easter eve and Mother’s day. We display standard opening hours and price ranges in our profile site. 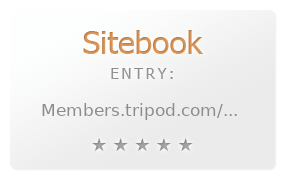 We recommend to check out members.tripod.com/photos_of/ for further information. You can also search for Alternatives for members.tripod.com/photos_of/ on our Review Site Sitebook.org All trademarks are the property of their respective owners. If we should delete this entry, please send us a short E-Mail.